* 7075 CNC Billet Aluminum no Cast or Welded parts Get quicker shifts with this all new 6 Speed Billet Manual Shifter for your 2011-2012 Ford Mustang. 20% shorter throw and made from 7075 Billet aluminum making it the strongest shifter on the market. Why settle for the stock soft feeling shifter from the factory when you can have a strong firm positive feeling with this Billet Shifter? 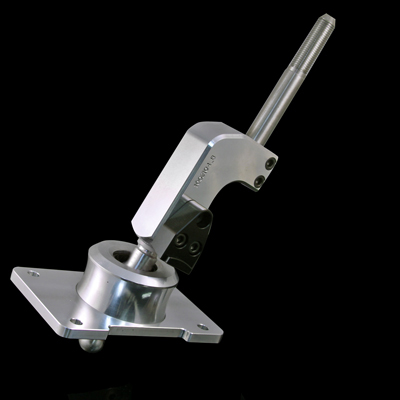 Quality Construction: CNC Machined from 7075-T6 Billet Aluminum making it the strongest shifter on the market. No one gives you the bold clean styling of our Aftermarket Dress Ups, Suspension and Performance Parts for your American Muscle Car like UPR Products! Installs in 30 minutes or less. Fits these Vehicles: 2011 2012 V6 GT 5.0L Coyote Boss 302 Mustang Roush & Saleen Vehicles. Made in the USA!